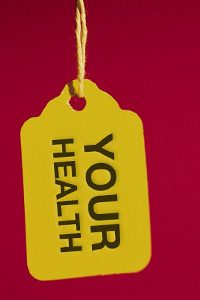 Putting a Price Tag On Your Health | LIFE | Lifetime Insurance & Financial Essentials, Inc. Lifetime Insurance and Financial Essentials Inc. has agents licensed to solicit and sell life insurance and annuities in the following states only: PA, MD, VA, WV, and FL. We are not able to discuss or sell life insurance or annuities to individuals or entities who reside outside of these states. John Michael Hose II offers securities and advisory services through Madison Avenue Securities, LLC. “MAS”, Member FINRA & SIPC, a Registered Investment Advisor. John Hose is non-registered and does not offer securities through Madison Avenue Securities, LLC. “MAS”, Member FINRA & SIPC. Securities and advisory services may only be offered or solicited by John Michael Hose II. Securities and advisory licensed in: PA, FL, MD, SC, VA & WV. Lifetime Insurance and Financial Essentials, Inc. is not affiliated with Madison Avenue Securities, LLC. LIFE | Lifetime Insurance & Financial Essentials, Inc.